The Brave and the Bold remakes the remakes, returning Batman to his pre-gritty beginnings. 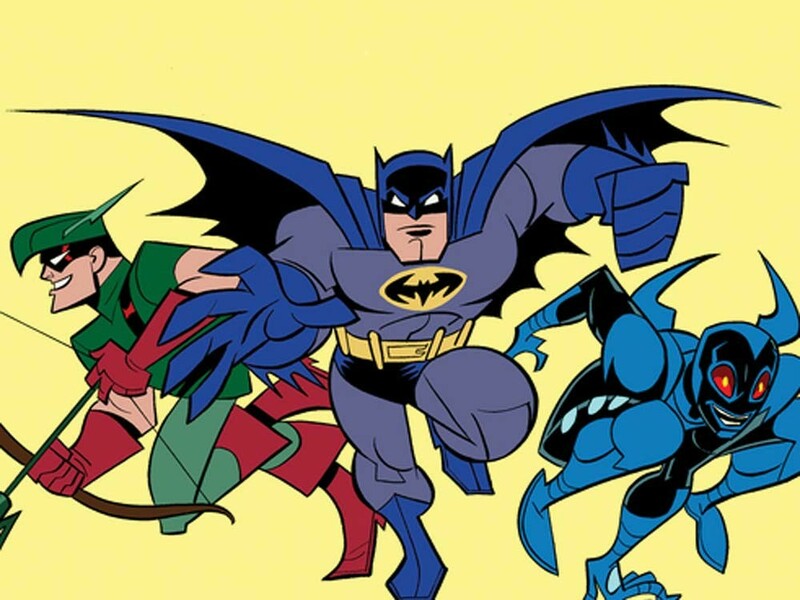 Every episode title for Batman: The Brave and the Bold — from “Terror on Dinosaur Island!” to “Night of the Batmen!” — ends with an exclamation point. That sums up the strengths, weaknesses and overall tone of the latest cartoon series featuring the Caped Crusader. Each episode is infused with dorky, exuberant enthusiasm. At first, this seems contrary to the batmanishness of Batman: Frank Miller, Tim Burton, and Christopher Nolan have taught us that Batman ought to be gravelly-voiced, drenched in angst and horror. Gotham’s savior, they argue, is as dark, gritty and violent as Gotham itself. But Batman’s history shows a less dreary version: the Batman always armed with corny quips and Bat-shark repellent; the Batman who doesn’t battle just a nihilistic Joker but finds himself locked in absurd struggles with Calendar Man (who commits holiday-themed crimes on holiday-related events), Crazy Quilt (who sees only in vivid Technicolor, explaining his zany fashion choices) and Egghead (who is especially prone to egg-scrutiating egg puns). Silliness has its tradeoffs, of course. Brave and the Bold can’t really plumb the deeper themes of Batman’s universe the way The Dark Knight or Batman: The Animated Series did. And the performance of Dietrich Bader (The Drew Carey Show) as Batman always has a cheesy “Stop, evil-doer!” quality to it, highlighting especially painful oneliners. But amid the action scenes — creatively scripted, gloriously storyboarded and beautifully animated — those criticisms are washed away in the chaotic fun of it all. Start with a “Blam!” and end with a “Pow!” In the end, that’s all we ask of our Batmen.